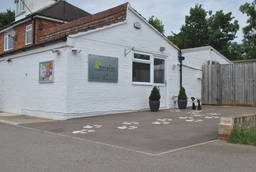 Professional care, personal service in Middleton Cheney We aim to give your pets all the best features of traditional and modern veterinary care from our small friendly team in Middleton Cheney, Banbury. As animal owners ourselves, we know how we would like our pets to be looked after. We strive to provide that high standard of care to you and your animals. We love our surgery and welcome clients who want to visit; why not book an appointment to have a personal guided tour? Testimonials are curated by Mansion Hill Veterinary Practice and are not independently reviewed or verified. "I would like to thank John and all his staff for looking after our Beagle. Their care and service has been exemplary. I would thoroughly recommend them to anyone"
"Brilliant vets would highly recommend them, definitely worth the short trip out of banbury"
"Can't thank John and his team enough"
"Today we've got our cat back home, something, a week ago when she was hit by a car, we didn't think would be possible. Can't thank John and his team enough for saving her and taking care of her this past week. Long road to recovery but she has a fighting chance now. Thank you so much"